Face-to-face training and demonstration sessions will be provided by the NBA and the Blood Service in preparation for BloodSTAR. There will be training sessions for prescribers, nurses and dispensers. BloodSTAR Demonstration: 2 hour session open to all key stakeholders to give an overview of the system and discuss key business changes that will need to be addressed before the go live date. BloodSTAR Go Live Training: 1 hours session dedicated to a specific stakeholder group i.e. prescribers, nurses or dispensers. These sessions will go through the system in depth and discuss the functionality available from go live date onwards. Mater Private Hospital, Lady Cilento, Townsville Hospital, Prince Charles Hospital and other sites TBC. Wesley Hospital, Cairns Hospital, Nabour Hospital, Caboolture Hospital and other sites TBC. Redland Hospital, Logan Hospital, Mackay Base Hospital, and other sites TBC. Rockhampton Hospital, St. Andrew's Toowoomba Hospital, Gold Coast University Hospital Toowoomba Hospital and other sites TBC. Bundaberg Hospital and Hervey Bay. For more info about session times or to register for a session contact the NBA on 13 000 BLOOD (13 000 25663) or support@blood.gov.au. Look out for training in other states and territories in upcoming editions of BloodSTAR Newsletter closer to rollouts dates in those areas. Can I join via video conferencing? If you cannot attend face-to-face sessions, video conferencing will be available from some of the locations. Flyers will be distributed shortly containing details on how to register for sessions and login details for video conferencing. To be able to smoothly transition patients to BloodSTAR to facilitate their treatment schedule and product management, it is imperative that their specialist be registered. Early registration will prevent unnecessary delays to treatment. Are you in NT, SA or QLD? If you are a prescriber of IVIg or SCIg or a nurse who manages patients receiving IVIg or SCIg, you must REGISTER NOW for BloodSTAR as your go live dates are fast approaching with NT going live on 14 July, SA on 1 August and QLD on 22 August. Prescribers and nurses working in WA, VIC, ACT, TAS and NSW Private Facilities only can be prepared and register now. Registration for prescribers and nurses working in NSW Public Health facilities do not need to register at this time. The NSW Ministry of Health is currently working with the CEC, NSW eHealth, NSW Health Pathology, and the NBA on how best to action BloodSTAR requirements in NSW Public Health facilities. To ensure patients are entered into BloodSTAR in preparation for each State/Territory go live date the patients’ Treating Medical Specialist MUST be registered. What if my patient has authorisation to receive Ig beyond the go live date? If you are a treating medical specialist with patients who have authorisation to receive Ig beyond your State/Territory go live date, the Blood Service either have or will soon be mailing information to you. 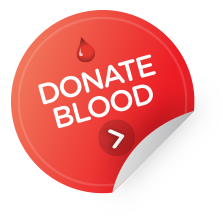 The Blood Service will be requesting confirmation of your patients’ details for entry into BloodSTAR and advising, for each patient, whether the Blood Service has a copy of their consent on file or if a copy needs to be provided. As each of the BloodSTAR go live dates approach it is critical that the Facility Administrators keep up to date with their user registrations. This is particularly important for when Treating Medical Specialists register as their patients can be entered onto BloodSTAR only after they are approved by the facility administrator. For more information on how to approve or reject user requests, please refer to either the tip sheet or video available at www.blood.gov.au/bloodstar-support-materials. The NBA will be following up with all facilities without facility administrators to ensure they register at least one facility administrator before their State/Territory go live. It is critical that one facility administrator is active for the site so that all users requesting access can have that access actioned. If you are contacted by the NBA please action the required steps described as soon as you can to ensure as smooth a transition as possible. For further details about supported browsers please visit www.blood.gov.au/blood-systems or contact the NBA on 13 000 BLOOD (13 000 25663) or support@blood.gov.au. Ig product can be kept as stock product by the dispenser from the BloodSTAR go live date – From your State/Territory go live date every dispenser will be able to order and manage a stock of their required Ig products. The details in BloodNet will assist you to manage this inventory. To assist in our national supply planning and management the NBA will be contacting dispensers who use the most significant amount of Ig product and discussing their future high level inventory management plans. Recording review outcomes are integral to continued access to product – Outcomes of patient reviews will need to be submitted in BloodSTAR where continuing access to product is required. The Continuing Authorisation request will need to be submitted prior to the existing authorisation end date to enable approval and further product to be dispensed past the current end date The Treating Medical Specialist and Requesting Medical Officer will receive notifications alerting them to a review that is required to be action in BloodSTAR. The NSW Ministry of Health is currently working with the CEC, NSW eHealth, NSW Health Pathology, and the National Blood Authority on how best to action BloodSTAR requirements in NSW Health facilities (i.e public facilities).